Pokemon GO has recently taken the whole world by storm. And if being a Pokemon Master is your destiny, you have to literally travel the world on foot in order to catch them all. But a few third party developers have come up with a tweaked version of Pokemon GO that introduces a few of the most wanted features of the game, which enables you to play the game while relaxing on your couch at home. Pokemon GO++, the tweaked version of the game for iPhone and iPad, usually requires a jailbroken iOS device in order to install it. But in this article, we’ll find out how to install the app without jailbreaking the device. Note: The creators of the original game, Niantic, have been very aggressive of late in banning accounts that have been using third party hacks or tweaks in order to progress in the game. So, to avoid your account from being banned, you should try out Pokemon GO++ using a secondary account. 3 Is Pokemon GO++ safe to install? Build Store is a third party app store that enables you to install apps from outside the App Store without having to jailbreak your iOS device. Pokemon GO++ is available on the Build Store and so you can install it from here without having to jailbreak your device. Build Store uses a paid subscription-based model, and costs $9.99 per year for one device. To know more about BuildStore, check out this article. Note: If you want to install / update Pokemon GO++ on your iOS device, you need to first uninstall the official app or any previous version of Pokemon GO++, if already installed on your device. Uninstall the official version of Pokemon GO, or any previous version of Pokemon GO++, if you already have it installed. On your registered iOS device, open Safari and navigate to the Pokemon GO++ app page. Pokemon GO++ will be installed on your registered iOS device. Joystick Mode: Move your avatar around the map using a joystick. Speed Control: Speed of your avatar’s movement up to 8X the normal speed. Walk Here: Mark a position anywhere in the world and walk to it. Back to Home: Walk back to your current location. #1. 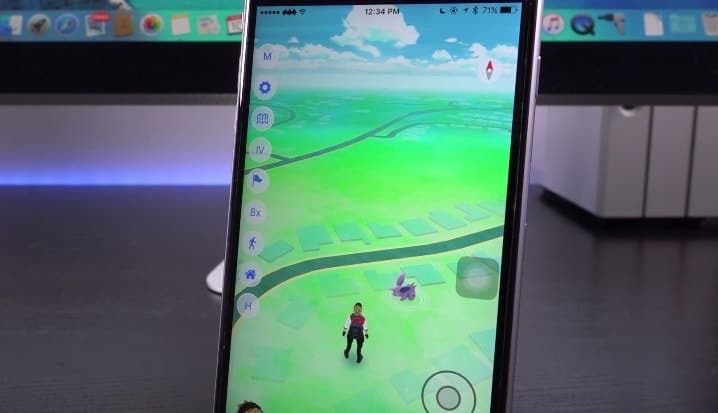 In order to use these features, you need to turn on Fake Location option in the Pokemon GO++ Settings. #2. Installing an updated version of Pokemon GO from the App Store may overwrite the tweaked version; hence, you may lose all the tweaked features provided in Pokemon GO++. Disclaimer: The article is only intended as a knowledge base for installing Pokemon GO++ on non jailbroken iOS devices. 7labs may not be held responsible for any violation of the terms and conditions, as laid out by the original app developers.